SallyStrawberry: Misty mornings and nippy nights- a new design! 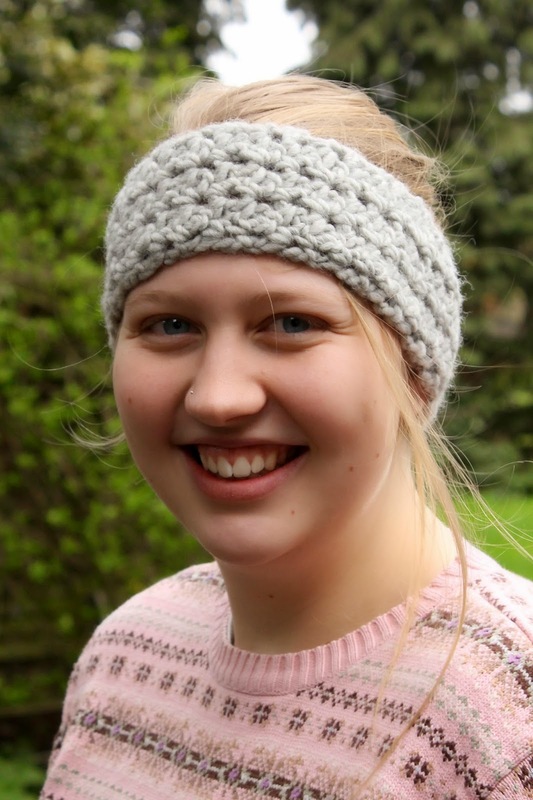 I am very pleased to announce I have added another pattern to my Ravelry Store.......this misty mornings and nippy nights ear-warmer headband. When I asked followers of my Facebook page what they would like to see me making a few people said 'ear-warmer/headband/hat type thing'. So here you are....an ear-warmer/headband/hat type thing! You may think it is a bit late in the year for this type of thing, but it is still chilly first thing in the morning and will provide perfect protection from cold ears during those late nights sitting around the fire or BBQ. This is crocheted in winkle picot stitch in the gorgeous chunky by Libby Summers. You can see my little review of this yarn here. If you have a go at this please do let me know what you think! Eeek! Exciting! I hope you are all having a great day! Personally I'm feeling pretty ropey.....have a feeling I ought to get my iron levels checked out but I'm pretty please I have accomplished this today! Might even go out and treat myself to lunch. Wait- its 3 O'Clock already? !